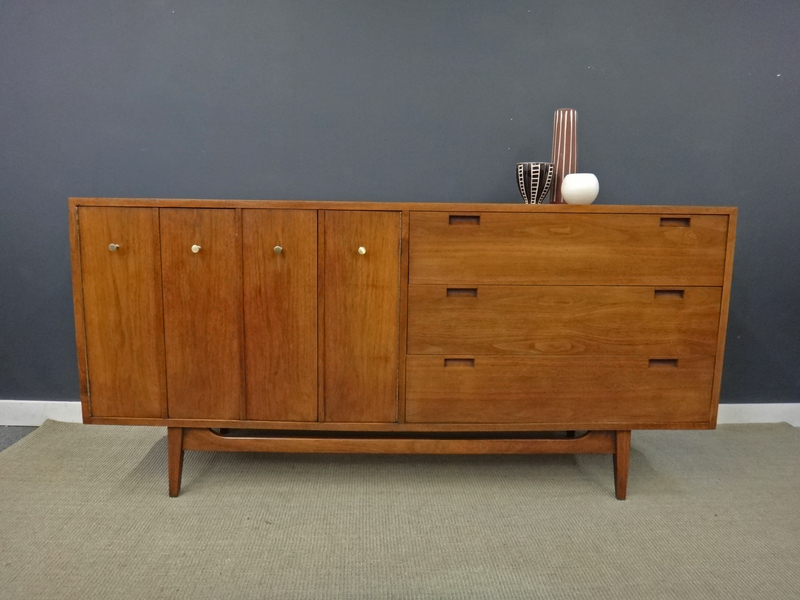 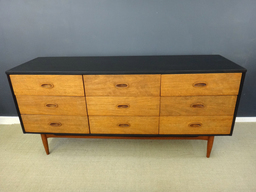 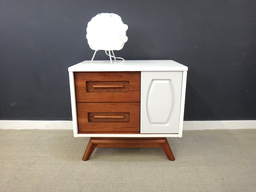 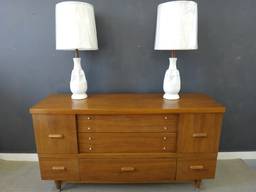 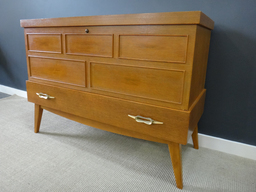 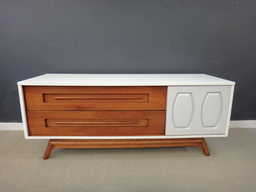 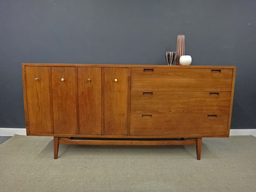 Simple yet elegant credenza for the American Collection by Martinsville, this mid century piece would make a great sideboard or buffet for the dining room or equally a functional bureau for the bedroom. 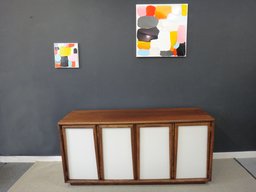 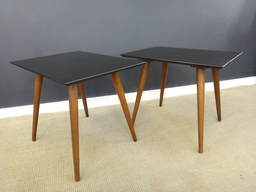 The frame has been refinished and sealed, including restoration of a fine black line of detailing on the frame. 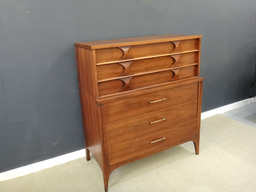 The bifold doors open to reveal three drawers in addition to the three drawers with inset pulls. 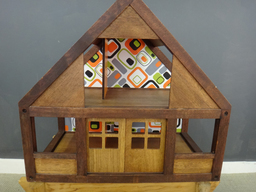 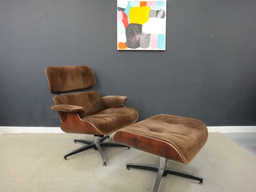 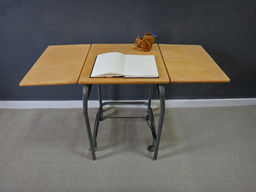 Structurally sound, clean interior and excellent finish with only minor marks of age.